Publicly-traded Deutsche Boerse Group (“DBG”), with headquarters in Frankfurt, is a leading global operators of exchanges, including the Frankfurt Stock Exchange. Its services include equities and derivatives trading, clearing and settlement of orders, custody of securities, and the provision of massive amounts of data. DBG maintains the well-known DAX® index, among many others. Eurex Group, a DBG subsidiary, is made up of six companies in the derivatives business — Eurex Exchange (the largest derivatives exchange in Europe), Eurex Clearing, the International Securities Exchange, Eurex Bonds, Eurex Repo, and the European Energy Exchange. Brendan Bradley is Chief Innovation Officer at Eurex, a position he has held since 2013, and a member of the Eurex executive board. He has worked within the exchange-traded derivative industry for more than 25 years. Q. Brendan, tell me about the framework you use when thinking about innovation at DBG. A. There are two facets to how we think about innovation. One part covers the “eyes and ears” on the market. That may be from a product or technology perspective. We need to be aware of and understand new developments in the market so that we can determine how they interact with our existing offerings. We can then decide whether we need to act, proactively or reactively, to the threat or opportunity that they may represent. The second part is more proactively looking for new opportunities within the market that allows us to offer new products or services. Financial markets and their related ecosystems are continuously changing, therefore there is always the opportunity to analyse new product or market model approaches along with lifecycle changes that can make processes or markets more efficient. Q. How are your innovation efforts organized? Where does innovation sit within the DBG organization? A. We have more than one Innovation area within the group. My own role sits within the Cash and Derivatives Market area of DBG, however we have similar groups that sit within Market Data & Services and IT. The principle is that there is no one “ivory tower” and different areas will approach innovation from different perspectives, with the ideal scenario being that areas can collaborate on new ideas by applying their specific skill sets. Q. What is your governance model for innovation efforts at DBG? A. As described there isn’t a central coordinating role at present, although that may change in the near future. Each Innovation area can and does autonomously pursue different innovation approaches to suit their section. If this produces ideas that are sufficiently viable that DBG wants to develop them, then the concepts may be further developed within the line organization with existing resources and the right skill set being borrowed from other sections to contribute toward the development. Alternatively, we may need to collaborate with and/or invest in an external entity in which case the Executive Committee would approve additional budgetary requirements. Q. How closely do you work with individual business units on innovation strategy? A. Recent examples of collaboration would include, a new swap futures concept developed by an external company where we worked with product development, and a number of other business units, to develop the workflow processes to enable the launch of the product. Secondly, before the current hype around blockchain, we had already followed the market developments, liaised with our IT innovation area and then built a prototype specified by business and developed by an external developer in conjunction with our internal developers. Q. One place where many companies stumble is in bringing innovation back into the enterprise. What practices do you use to ensure that innovations you identify and nurture can flourish in your business units? A. In principle we are always looking for innovations that are strategic in nature rather than completely blue sky. In addition, we are not divorced from the enterprise, therefore we focus on ideas that can be eventually handed into the line business functions. However, involving internal business units as early as possible in the process and allowing them to feel ownership of the idea is important. Q. How do you measure the effectiveness of your innovation efforts? A. There is a combination of tangible and intangible measures. The tangibles are focused on near term returns from a given number of projects that have been developed. The intangibles are focused on developing awareness, educating and increasing brand awareness and networks around innovation themes. Q. What ideas, themes or technology most interest you? A. Concrete ideas and themes are currently driven by the potential gain points (rather than pain points) around the implementation of regulation, including MIFID II specifically. The technology themes are focused on elements of big data/predictive analytics, machine learning and the new API enterprise. Q. What are your thoughts on the use of blockchain technologies for clearing and settlement? Does the possibility imply the need for broad, industry-level structural change? A. There are certainly possible applications of blockchain into the existing or new clearing and settlement layers, however the technology is still relatively fledgling and there are vested interests that may prevent ready adoption of the broad, industry-level structural changes that would be required. In the short term, there may be ways of deploying the technology in more “greenfield” sites where there is less legacy technology, more requirement for standardized processes and a smaller market opportunity that can be developed as a practical proof of concept, including internal work flow processes. Q. Innovation can be taken incrementally, as when new technologies are employed to improve existing processes. It can also be disruptive and revolutionary, as when a new business model is employed to completely upend an existing industry. Which is your preferred approach? A. We look at both. Incremental innovation is encouraged across the group as part of our continuous improvement programmes, while disruptive or revolutionary approaches are investigated to enhance new business opportunities e.g. Cloud Exchange. Q. How does your role on the Eurex executive board inform your work as Chief Innovation Officer? A. Innovation can’t be undertaken in a vacuum. On a number of occasions, it is necessary to understand the industry context or the market model changes in order to apply innovative thinking. My Board position is therefore an excellent way to keep me informed about developments across the group. Q. What are you doing to capture innovative ideas from inside the company? A. We have the YouNovate program, which has been running for roughly five years now at the Deutsche Boerse Group. It has quite a broad remit. Suggestions can range from energy-saving light bulbs through to the poster child for the program, which was the idea behind the Cloud Exchange that I mentioned. The principle is to offer a marketplace on a standardized basis for cloud capacity. We have a separate entity now to manage this which is based in Berlin. We have jointly funded this with the idea that it is a new business area that we have the opportunity to break into. There are incentives for people to come up with these sorts of ideas. The suggestion that we utilize energy saving light bulbs might be rewarded with a voucher for €50. The person who proposed the Cloud Exchange idea will receive substantially more. Q. Did the fellow who came up with the idea for Cloud Exchange join the new entity? A. 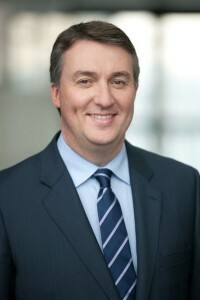 He stayed within DBG, however he did participate in the process of forming the idea into a separate company, but he still sits within the larger exchange group. Q. What can you tell me about Open Innovation? This is the program through which early-stage companies can pitch their ideas in the hope of receiving technological and regulatory support from Deutsche Boerse Group and being connected to your network of firms and vendors. What have the results been? A. I used to run product development here at Eurex where new product ideas are generated internally. The traditional way of evaluating new ideas for products was to go to our member community. We work with them to develop and revise these concepts. That’s the traditional way we have done it. Over a period of time, you tend to end up with a small set of people you approach with these ideas and you hope that they act as a conduit to their broader organizations so that you get as much feedback as is possible. But you worry that there’s a guy in the corner you never speak to who has all of the brilliant insights. On the other side of it, we were also becoming involved in the FinTech scene in London. We felt that we didn’t know that community as well as we should and we wanted to reach out to them. So we took the YouNovate platform that we were using internally and made some amendments to it to create an Open Innovation platform that these communities can access through our website. It gives people the opportunity to forward ideas to us. The reality is that we seem to have been better at marketing this to the newer members of the FinTech community than to the folks we had traditionally worked with. Or maybe the former were just more comfortable with the idea. But we saw many more ideas coming from the new crowd. So we are looking to address that with a new initiative next year. We want to make sure we are also engaging with the 400 member firms because we are all in the same boat. Q. What are the benefits of your involvement with the London FinTech scene? A. Our involvement gives us wonderful eyes and ears on the marketplace. That’s first and foremost for us. If there are new technologies out there, then of course we want to be aware of them. If there are new workflows, processes, or product ideas then we want to be aware of them. At some point in time they may want a more established home or institutional credibility in order to help them grow further. We look to be as collaborative as we can on new ideas and new technologies. If someone is working on predictive analytics, for example, they may need data in order to test their algorithms. To accommodate this, we are looking to offer a sandbox so that we can let firms into our environment to use data that we can’t allow to go outside the organization. We can also be somewhat altruistic, as well, in terms of mentoring these firms. We know quite well how big organizations work and how best to approach them with new ideas and products. We can guide startups as they prepare to approach larger firms, and help them focus on specific areas given what we know about the marketplace. That helps us longer term because these are firms we hope will do well and this mentoring helps create a warm relationship we can build on over time. Then, if we like them enough, there’s the potential that we actually invest directly in them as well. A. I have done personally four deals in the last 4 years but my colleagues have been involved in others. Essentially they have been done on an ad hoc basis. Q. You don’t have a dedicated venture fund, I don’t believe, so what is the investment process like? A. We don’t have a distinct fund, that’s correct. When we find a firm we like, we go through a process of evaluation, building a business case for investment, and then taking our proposal to the Executive Committee to ask for funding outside of the usual budget process. Q. Is there a profile of startups you like to invest in? A. As I mentioned, we don’t have just one innovation area with the group; there are a few, and they all have different ways of approaching it. If I look at our market data and services area, they are more structured in their approach. They’ve built matrices that show the types of technology and services they want to provide, and where those sit within the food chain of what we are already doing. They then look to fill in the matrix by looking at firms within those spaces, from large companies down to small ones. This gives them a very structured way of evaluating what’s going on across that particular division. One outcome was their decision to invest in a group called Impendium, that enables regulatory reporting via SaaS (Software as a Service) in the cloud. In short, we are not a corporate VC, rather we are strategic in focus. The view is that we buy stakes in companies that we believe we can fully integrate but have allowed them to develop independently first. For example, on the Eurex side our first investments focused on taking a view on market model structures we expected to see going forward, and we were correct in that the market has developed from a voice driven OTC model into much more of an RFQ model. A more recent example has been on new product concepts. We have a stake in a company called GMEX that has developed a swap futures concept. We feel that swap futures will be more accepted in the new mandatory-clearing-of-OTC-swaps world where OTC swaps volumes have been diminishing and some of that business will migrate into “futurization,” as they call it. Therefore, swap futures may be used as a complimentary instrument to more bespoke OTC swaps. Nobody knows for certain which swap future contract will necessarily win out, or if it will be a combination of a number of them, but we have placed a few chips in various different areas in order to be able to cover that. So we have an option, as it were, on the potential upside there. Q. Have you considered starting your dedicated venture fund? A. One of our direct competitors has done that, setting up a $100 million fund. We have talked about it internally, but at this point in time we have decided to go a slightly different route, by investing in a specialized FinTech VC Fund that has just launched, namely Illuminate Financial Markets, which we co-seeded with Markit. This comes back to our preference for the Open Innovation approach. Yes, we can have some good ideas ourselves, and do some of that good work ourselves, but having other people who have a network and the ability to keep eyes and ears on the marketplace outside of those areas where we specifically focus is sometimes better. Q. How did you choose to get involved with 3D FinTech Challenge? And how has this year’s program gone? A. I was a mentor for the last two years. I found it to be a very good programme, and somewhat altruistic in that it doesn’t take any equity stakes in the firms. It’s not just a “come in for a few weeks and build a product” type of approach, there is a lot of good work done in terms of helping startups. They bring in experts to help participants understand topics such as protection of IP, how they should market themselves, how they should look at prototyping and project management, how they should pitch to VCs, and so on. They have a master class at least once a week over the seven-week challenge period. The thinking was, having been a mentor, how do we increase the involvement of our brand? So why not step up and be a joint sponsor this year? That gives us more involvement in determining the theme of this year’s program and in the full application process. This year, the focus has been on “RegTech” or regulatory technology. We had a good broad mix of companies and the firms themselves have been investigating how they can potentially work with each other because they are not competing with the same kind of products. We have been very happy with the quality of the people who have come in. Q. How are you thinking about the FinTech innovation community? A. As an exchange organization, and a stock exchange organization in particular, in a sense we feel a responsibility to nurture early stage companies because they may be the IPOs of tomorrow. From that perspective, we may come at this from a slightly different angle than the banks. Personally, I started in this business on the old exchange floor, which was very entrepreneurial. This is kind of a return to those days, in one sense. We are nurturing new firms that will be part of the community going forward. Some may fall by the wayside but some will do very well. But it is very similar to watching some of the trading firms in their earlier days on the exchange floor. As I mentioned, our innovation efforts give us eyes and ears on the market. Our involvement with accelerators, other FinTech organisations and universities (LSE and UCL) gives us the ability to understand what being flexible, agile and innovative is really all about. Lastly, some of the people who are generating these new firms are coming out of established companies. They are relatively senior people who know how things are done inside-out and backwards. They understand that work flow processes could be achieved in a much better way. We often know these people from their work at member firms, so these are very easy conversations for us to have. It’s not purely about technology innovation. So maybe “FinTech” is a little bit of a misnomer. There is also iterative workflow process innovation, which is just as valuable. Q. How would you like people with relevant ideas to contact you? A. Email is best: brendan.bradley @ eurexchange.com. This entry was posted in FinTech, Innovation, Uncategorized and tagged Eurex, London, venture capital by jim. Bookmark the permalink.